High-efficiency furnaces provide exceptional value, and can be used with natural gas or converted to propane. In addition, the furnace also works with your outdoor system to circulate cool air in summer, helping you stay comfortable all year long. 95% AFUE furnaces save home owners cash in the long run, even without the tax credit. “Simply place, with a 95% AFUE furnace, for every dollar you commit on heating power, 95 cents of that dollar is utilized to warm your residence. 95% AFUE furnaces with a variable-speed blower are even a lot more effective. The variable-speed blowers used in the 95% AFUE Variable-Speed Furnace usually need up to 75 % less electricity than a common motor. Due to the fact a furnace’s blower also operates with the home’s cooling method to circulate air, customers encounter elevated efficiency year-round. The condensing furnace is so efficient and extracts so much heat from the combustion process that its exhaust vent / flue is just warm to the touch, not “burn your fingers hot” like a conventional furnace. 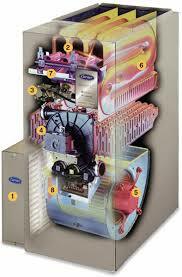 The primary difference between the conventional furnace and the 95% furnace is in the dual heat exchangers. High-efficiency furnaces feature a second combustion chamber, which captures exhaust gases and moisture before it exits into the flue. This second chamber condenses the gaseous by-products to form a liquid, and then extracts any remaining heat. This heat is then transferred into a second heat exchanger, which supplements the primary heat exchanger and helps to heat the air. The small amount of remaining waste is exhausted from the home through a small flue or even a simple pipe in the wall. The existing furnace in your home, or maybe one you are considering purchasing, can be organized into these efficiency categories. The metric used to measure furnace efficiency is called the AFUE rating. AFUE is an acronym for Annual Fuel Utilization Efficiency and it measures the amount of fuel converted to heat in the space in proportion to the amount of fuel which enters the furnace. The higher the AFUE the more efficient the furnace is. Homes today are required to have an AFUE rating of at least 78% but furnaces of this low AFUE are typically found in manufactured homes. For a furnace to meet the DOE’s Energy Star program, it must be a high efficiency furnace with an AFUE of 90% or higher. R22 is the most common refrigerant in residential and light commercial A/C applications. It has been phased out due to damage that it does to the ozone layer, so availability is limited to existing stockpiles and refrigerant recovered from decommissioned machines. The sale of new equipment containing R22 drop in replacement has been stopped. However, units R22 compatible to existing system components are shipped “dry”, and then can be charged with R22 when installed. But that still leaves a lot of equipment stranded that is not yet at end of life. Some market players are saying that drop-in replacements are safe and effective. Others are saying no, that the equipment all needs to be replaced with new gear designed around R410a, a higher pressure refrigerant. Drop-in refrigerants can’t be mixed with R22. Others say it can. There must be a complete flush and replacement which means major service, not just a top-up. Some suggest that using nitrogen to ensure this happens. Despite that effort, there are plenty of situations where the lines are concealed and the evaporator coil is hard to get to. Those parts would need to be replaced with R410a but could be retained with a drop-in replacement. Recycled R22 is still available, and able to be used for the repair of existing systems. There are also 2 alternate ‘drop in’ refrigerants that are being promoted as direct replacements for R22. These are both HFC based refrigerants with zero Ozone Depleting Potential manufactured by DuPont. 1. DuPont TM ISCEON® MO29 (R422D) is an easy to use, non-ozone depleting HFC refrigerant blend of R125, R134a and R600a. • It is used to replace R22 in a wide variety of high, medium and low temperature refrigeration applications as well as air conditioning and water chiller systems. It has also been used in new equipment and selected ‘flooded’ applications. • It is a close match to R22 in terms of capacity and efficiency in most systems, but with a significantly lower discharge temperature which may prolong life of the compressor. It is compatible with traditional and new lubricants, providing easy, quick, cost effective retrofits and can be topped up during service without removing the entire refrigerant charge. As it is a blend it should always be removed from the cylinder as a liquid when charging a system. Refrigerant blend of R125, R134a and R600. • It is typically used to replace R22 in direct expansion stationary air conditioning and medium temperature refrigeration systems. • It has a significantly lower discharge temperature than R22, which may prolong the life of the compressor. In most systems ISCEON® MO59 provides the required cooling capacity and has shown energy savings. However, some systems may experience reduced capacity. • It is compatible with traditional and new lubricants, providing easy, quick, cost effective retrofits and can be topped up during service without removing the entire refrigerant charge. • As it a blend it should always be removed from the cylinder as a liquid when charging the system. alternatives at present, unless the Ozone Depleting Potential of R22 is of concern to individuals or companies. After this ‘drop in’ alternates will have to be used. Toshiba: Not tested any replacement refrigerants. Some research has been done on R417A and it was found to give a 6–10% drop in performance and a 15 –25% increase in power consumption. It is also recommended that the mineral oil be replaced with poly oil. At present they have no plans to carry out any further investigations or tests. 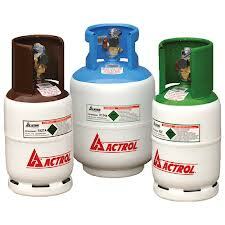 The use of these replacement refrigerants will be at the discretion of the contractor. Sanyo: Recommend R417A for ALL Sanyo R22 systems including VRF – ‘straight forward drop in’ Several Sanyo systems were charged with R417A at installation more than 10 years ago with no noticeable effect on performance. Mitsubishi Electric: The official guide line is not to use them. They will reduce the efficiency and shorten the compressor life as the units are not designed on the ‘drop in’ refrigerants. The client will have to take the risk on using them. Fujitsu: Fujitsu has never done any tests with ‘drop in’ refrigerants, therefore cannot comment on the life expectancy or efficiency of the system if alternate refrigerant is used. If you are faced with issue of the changeover, R410a may be a refrigerant you are considering. R410a is very different from R22 and so there are various issues associated with the changeover, namely the much higher discharge pressure. The first rule of thumb is that there is no “drop-in” replacement for any refrigerant currently being used. Each substitute refrigerant used will require some design changes in the refrigeration system. An R22 system cannot be charged with R410a since the components were not rated for the higher pressures associated with it. • High cooling capacity: equipment designed for R410a has been shown to have up to a 40% higher cooling capacity compared to R22. • Easy servicing: While R410a is a blend, it behaves more like a pure refrigerant and therefore it can be re-charged into the system repeatedly without danger of inconsistent mixing. • Safe: R410a has an A1 ASHRAE safety classification. What Happens To My Old Unit? How do you properly dispose of an old air conditioner? When replacing an air conditioner with a new model, what should you do with the old unit? Can an air conditioner be disposed of in the trash? What is the best way to dispose of an air conditioner? What Typically Happens To Old Refrigerator Or Freezer? Almost all of the materials in your refrigerator or freezer can be recycled. This includes the metal cabinet, plastic liner, glass shelves, the refrigerant and oil in the compressor, and the blowing agent contained in polyurethane foam insulation. 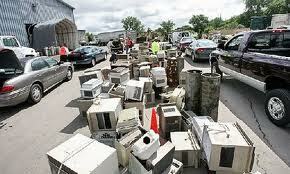 After appliances are collected they can be resold, recycled, or landfilled. Resale: Sometimes appliances that are in working condition are refurbished and resold domestically or abroad to developing countries. Because these appliances consume large amounts of electricity and are less efficient toward the end-of-life, appliance re-sale should be avoided to save energy. Moreover, for those units sold in developing countries, their ultimate disposal is less likely to be carried out responsibly. Recycling: Appliance recycling typically entails recovery of refrigerant and removal of hazardous components followed by shredding of evacuated appliances. Metal components are typically separated and recycled, while glass, plastics and polyurethane foam, are typically sent to a landfill. Because there are no legal requirements for foam recovery, the blowing agent contained in the foam insulation is emitted during shredding and landfilling—thus contributing to ozone depletion and to global climate change. Landfilling: Typically, when a waste hauler brings appliances to a landfill, refrigerated appliances are separated until a technician recovers refrigerant and other hazardous components, after which, the appliances are landfilled. Sometimes disposed appliances are reportedly landfilled whole, without shredding or removal of durable components. Air conditioners regardless of type all contain some form of cooling refrigerant. As there are federal or state/province regulations as to disposal of these types of appliances, before you dispose of it in a landfill, recycle or trash bin, call your local sanitation department to find out if it needs to be prepared before it can be discarded. It may just need to be taken to a certain disposal area, or it may require a qualified technician to remove the coolant, similar to what is done with disposal of refrigerators and freezers. If you are buying a replacement air conditioner, check with the retailer to see if they’ll take and dispose of your old model for you. Some merchants may provide this service as part of the sale. Nevertheless, illegal activities, including appliance dumping, venting of refrigerant, and release of hazardous components to the environment, still occur. Appliance owners should avoid illegal dumping and should dispose of appliances responsibly. To the extent possible, make sure to schedule the collection of your appliance with your Department of Public Works, a retailer, bounty program, or other recycler; appliances simply left on the curb without a scheduled pick-up date are likely to be picked up by peddlers who may improperly vent refrigerant or otherwise dispose of the appliance in an unsound manner. To encourage appliance recycling and proper disposal of hazardous components, EPA has launched the Responsible Appliance Disposal (RAD) Program. RAD Partners ensure the proper handling not only of refrigerant and other hazardous components regulated by federal laws, but also foam blowing agent. EPA requires establishments that dispose of small appliances to certify to the appropriate EPA Regional Office that they have recovery or recycling equipment that meet EPA standards for such devices (i.e., equipment must achieve 90% recovery efficiency when the appliance compressor is operational, or 80% recovery efficiency when the appliance compressor is not operational). This certification form (140K, 4 pp, About PDF) must be signed by the owner of the equipment or another responsible officer and sent to the appropriate EPA Regional Office. Owners do not have to submit a new form each time they add recycling or recovery equipment to their inventory. EPA requires establishments that dispose of small appliances to certify to the appropriate EPA Regional Office that they have recovery or recycling equipment that meet EPA standards for such devices (i.e., equipment must achieve 90% recovery efficiency when the appliance compressor is operational, or 80% recovery efficiency when the appliance compressor is not operational). This certification form must be signed by the owner of the equipment or another responsible officer and sent to the appropriate EPA Regional Office. 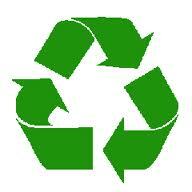 Owners do not have to submit a new form each time they add recycling or recovery equipment to their inventory.